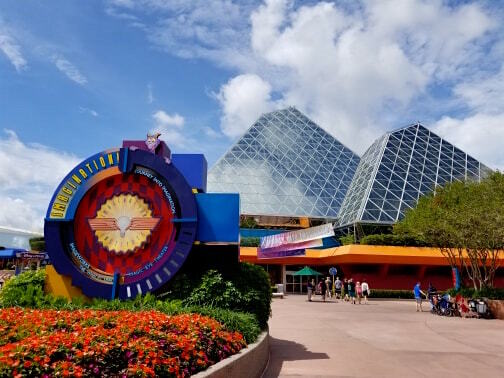 Visiting Walt Disney World is a big deal for families all across the world but I wanted to explore it with conservation and STEM technology in Disney in mind. How does STEM technology and careers as well as conservation play a part in entertainment? I was given complimentary access into the Disney Parks for one day to get a closer look. 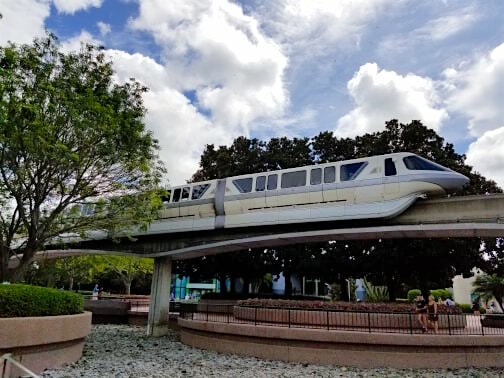 Searching on Pinterest and Google for articles on Walt Disney World and theme parks in Orlando, Florida – you’ll see there are literally ZILLIONS of articles out there. From”Best Food at Disney” to “Tips with Toddlers in Theme Parks” – there’s plenty of coverage on how to make your day(s) at Disney the best. In fact there are quite a few behind the scenes tours at Disney that cross over into STEM technology in Disney and conservation as well. However, growing up in central Florida I grew up seeing the educational side of Disney. And since then Walt Disney World (and across the world) has become a center for cutting edge technology and strides in conservation efforts. 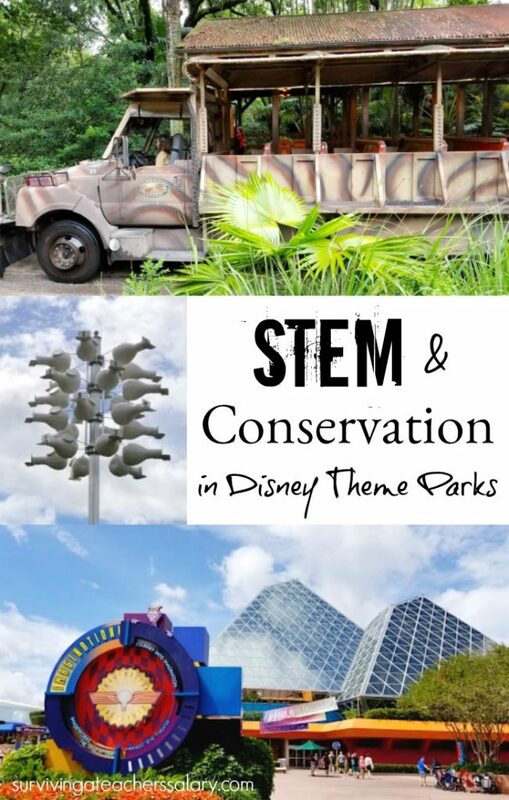 This by no means covers even a fraction of the amazing STEM technology incorporated or conservation efforts by Walt Disney World but hopefully you will be inspired by some new facts below. FUN FACT: Walt Disney World Resort is approximately the size of San Francisco. The China Pavilion (EPCOT) uses CircleVision presentation, a cutting edge filming and projection technology. AVAC (Automated Vacuum Assisted Collection System) system – You may never see this but Disney has one of the most advanced trash collecting/compacting systems in the world running beneath Magic Kingdom. 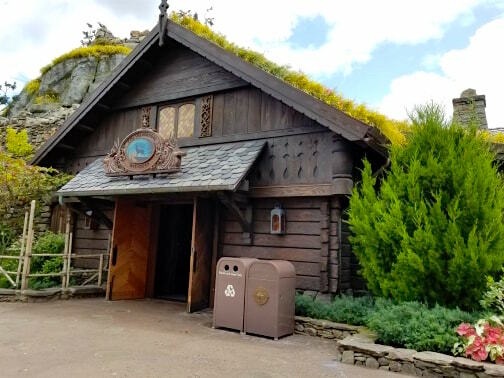 I’m not just talking about Disney’s cast member tunnels – I’m talking about the trash sucker that moves trash underground from one part of the park to another. You can also see this on the Keys to the Kingdom tour. Imagineering holds more than 100 patents in special effects, ride systems, interactive technology, live entertainment, fiber optics and advanced audio systems. Imagineering created and sponsors Imaginations, a design competition that challenges college students to conceive a new theme park, land, restaurant, merchandise location, product or other Disney-style themed entertainment experience. They created the FIRST computer-controlled thrill ride (Space Mountain, Magic Kingdom). 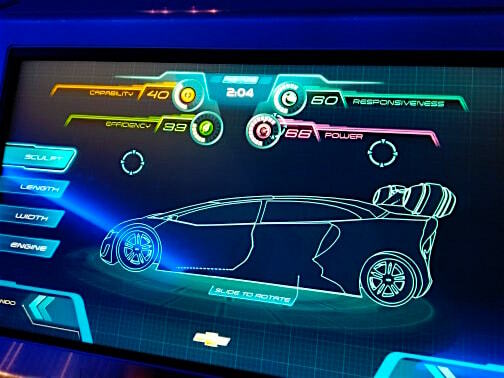 Design and race your own aerodynamic car at Test Track in EPCOT. Disneyland Resort recycles more paper each year than the weight of nearly 40 Disneyland Railroad steam engines. Energy efficient LED lighting is used throughout the parks and resorts. Solar Power & Recycling are incorporated in many facilities. 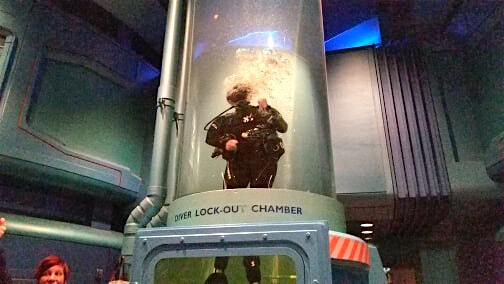 Water in many attractions is stored, treated, and reused. The Shanghai Disney Resort uses a Combined Cooling and Heating Plant (CCHP), a grid-tied, gas-fired power plant that uses excess engine heat for cooling and heating and produces compressed air by self-generated electricity, tripling the resort’s overall energy efficiency. Environmentally friendly building material is used when possible. The green waste from pruning and disposing of Disneyland Resort plants is recycled and used as compost throughout Orange County. Disneyland Resort recycles enough scrap metal each year to make the equivalent of 66 ride vehicles for Indiana Jones Adventure. Of the approximate 40 square miles at Walt Disney World Resort, nearly one-third has been set aside as a dedicated wildlife conservation area. Disneyland Resort recycles more glass each year than the weight of nearly three Mark Twain Riverboats. In 2017 they reduced their net emissions by 41% and diverted 46% of waste! DID YOU KNOW? 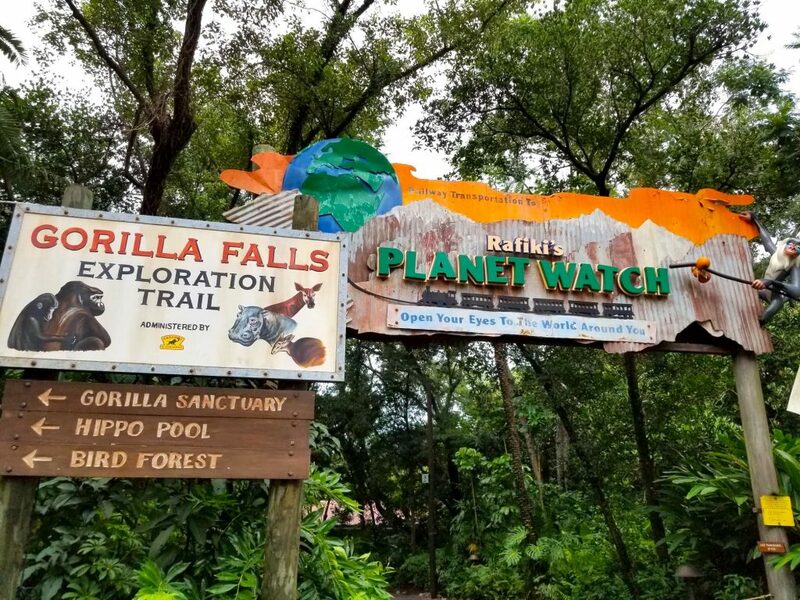 The Gorilla Falls Exploration Trail in Animal Kingdom takes you through a tropical forest by gorillas, hippos and other African wildlife? Power a solar facility that will generate enough renewable clean energy to power 2 of its 4 theme parks. Reduce greenhouse gas emissions by more than 57,000 tons per year. In April 2018 the Disney Conservation Fund awarded $8 million to support the conservation efforts of 80 nonprofits around the world. The Animals, Science and Environment team cares for more than 7,000 animals. I grew up taking field trips to Epcot, doing behind the scene tours for school groups, etc. 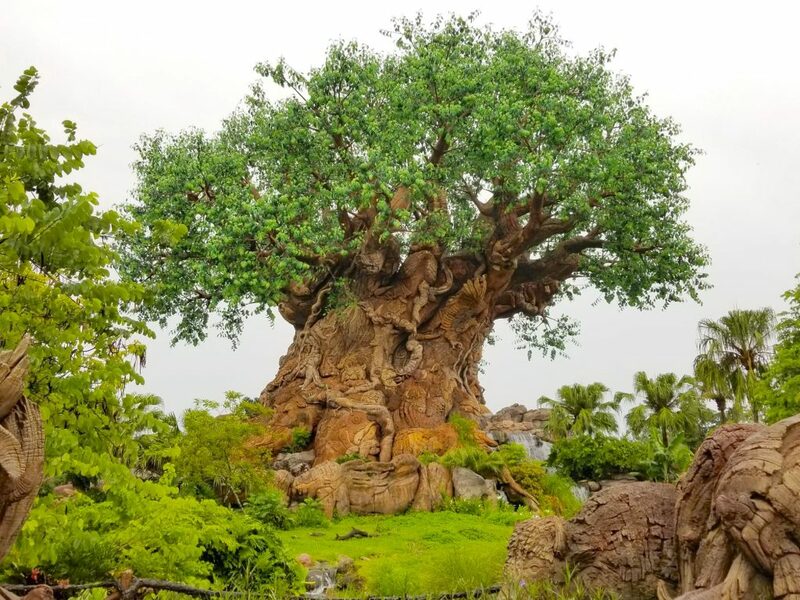 I’ve always been fascinated with the strength of Disney’s conservation and innovative programs for growing their own food and caring for wildlife on such a tremendously large scale. The Land (EPCOT) is actually a restaurant supplier! If you eat fish or vegetables in EPCOT, chances are, it was grown right there! The EPCOT greenhouses produce over 27,000 heads of lettuce per year! 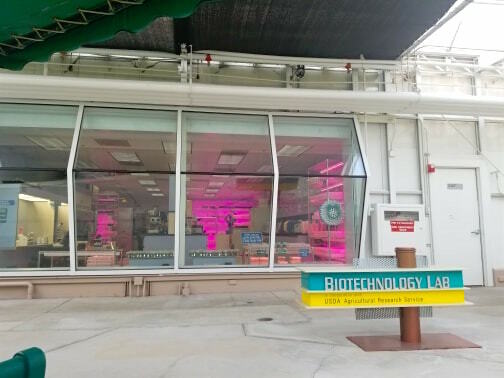 The “Living with the Land” boat ride takes you through Disney’s greenhouses (hydroponic, aeroponic & aquaponic), fish hatchery, AND by their USDA scientific research laboratory. A lesser known area of Disney not far from Orlando in Kissimmee, Florida is the Disney Wilderness Preserve. The Nature Conservancy’s 11,500-acre Disney Wilderness Preserve is home to over 1000 species of animals and plants and is just a short drive over from the Disney parks. Surprising to me was that it is actually the head of the Greater Everglades watershed! You can learn more about this amazing place and where to visit here. Did you know that you can actually book a tour with Disney all around the world?! Visit other countries, explore our national parks, and more with Adventures by Disney! Although this is a travel company it does focus on many outdoor parks and locations around the globe in which your appreciation for nature will grow! 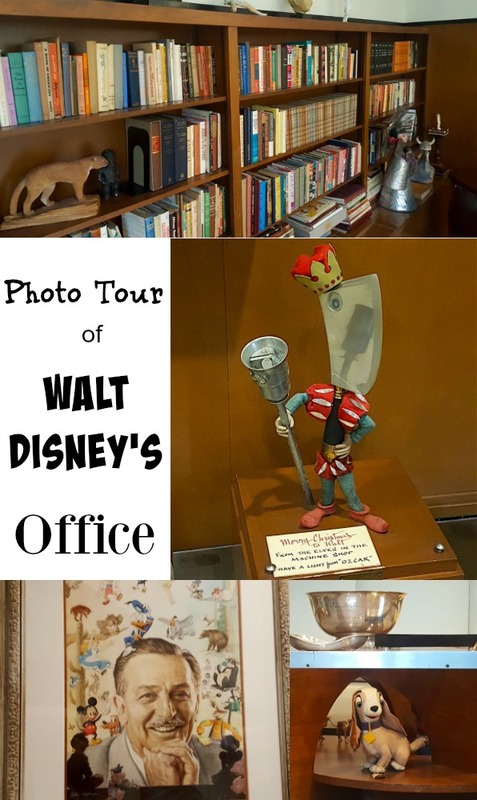 Click the images below for a closer look inside the life of Walt Disney! 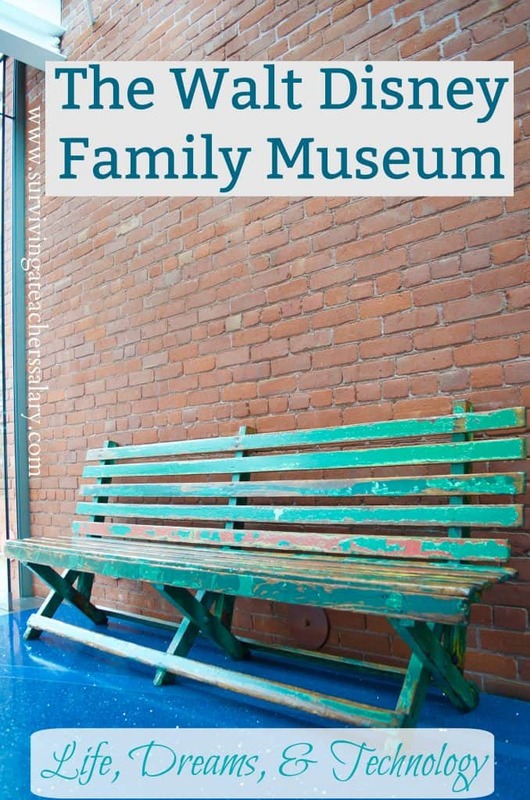 FREE Wonder Park STEM Educator’s Guide, Poster & Activities The Grinch Family Movie Night with Kids + Craft Ideas 25 Good Kid-Friendly Podcasts for Kids to Learn Something From NEW Disney Fancy Nancy Disney Junior DVD Available! Disney Artemis Fowl Movie Trailer + Insider Access & Sneak Peeks Perfectly Bookish -Best Unique Gifts for Book Lovers DreamWorks Trolls Toys Unboxing Mystery Box + Season 4 on Netflix The Magical World of Books Come Alive at Universal Studios Goosebumps 2 Movie: Haunted Halloween Movie Trailer, Date, Poster NEW R.L. Stine HorrorTown Goosebumps App to Download! Secrets of Pixar: Making Baby Jack Jack and His Powers Incredibles 2 Incredibles 2 Movie Fun Facts, Insider Access and Exclusive Film Details Disney Pixar Short Film Bao: Meet the first Female Director at Pixar Disney’s DuckTales: Destination Adventure! on DVD Review Incredibles 2 Press Conference: Q&A with Movie Director and Producers How Did They Create Pixar Incredibles 2 Movie and Action Scenes Art, Math & Technology Behind Pixar Animation Studios Costumes Tips for Hosting a Magical Garden Tea Party for Kids Disney / Pixar Exclusive Insider Access to the Incredibles 2 Movie 2018 Movie Film Slate – AWESOME Movies Coming Out This Year!